From Switzerland comes the Thorens record player that folds away into a 2″ by 5″ by 11″ camera-model carrying case weighing a little over 5 lb. In tone and volume it is said to be comparable to full-sized acoustic phonographs. One winding of the motor is needed for each side of a 10″ or 12″ record. 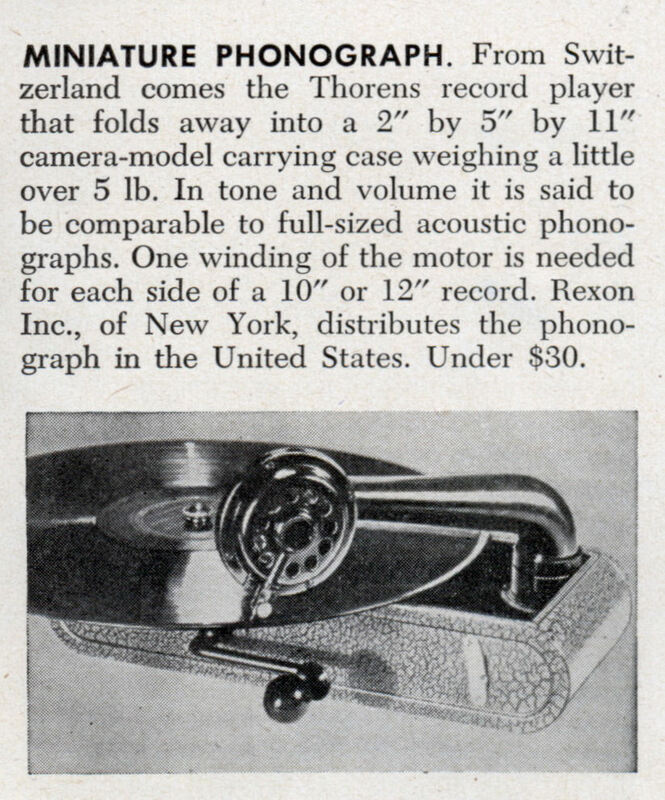 Rexon Inc., of New York, distributes the phonograph in the United States. Under $30. Thorens still sells record players. 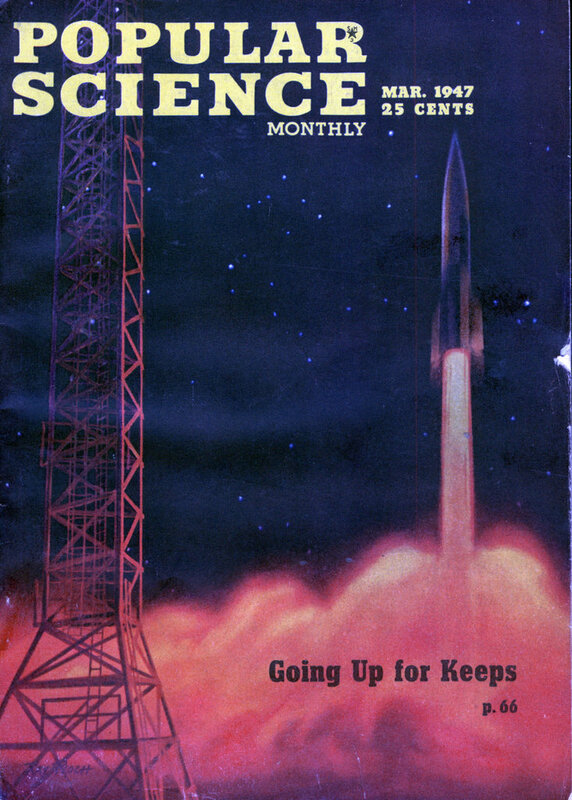 I wonder how they got an even remotely linear frequency response out of that thing. my uncle actually has one in working condition and we would love to find out more about them. this is the first info we have found about it. I have one of these and it works very very well. The soundbox has an aluminum diaphram which has good volume. The sound goes through the arm and into a very short horn which reflects the sound off the underside of the record. I can’t explain the acoustics but it really does work.